When Amazon announced plans to locate a $5 billion, 50,000-employee complex as its second headquarters somewhere in North America, state governments and municipalities fell over themselves offering billions of dollars in tax abatements and corporate subsidies to secure the prize. It might behoove the remaining 20 cities that have made the final cut to heed the warning from Virgil’s Aeneid: “I fear the Greeks, even when they are bearing gifts.” Especially when the gifts come in the form of a modern-day digital chain gang. In essence, you’ve got a $550-billion-plus global conglomerate with virtually unchecked market power and no sign that its legally advantageous position will be challenged anytime soon via vigorous anti-trust enforcement—and certainly no encouragement of unionization to combat its abusive and intrusive work practices. Companies like Amazon have been aided and abetted by a sequence of “pro-business” governments that for decades introduced harsh industrial relations legislation to reduce the trade unions’ ability to achieve wage gains for their members, while lavishing billions in tax cuts and subsidies, which deprives the region of vitally needed revenue for the provision of essential public services. Even before this latest municipal beauty competition, Amazon has received almost $123 million from the state of Ohio in cumulative tax breaks, plus $2.9 million in cash grants. That has been a great deal for the company, but what about the people of Ohio? A new study by Policy Matters Ohio found that more than 700 Amazon employees receive food stamps, or more than 10 percent of the tech giant’s 6,000-strong workforce in the state. That’s because the jobs provided by Amazon in exchange for these tax breaks barely pay above the $26,208 poverty line. So much for the much-vaunted “multiplier effect” supposedly created by this panoply of government largesse. Or consider the state of New Jersey, where Chris Christie’s last move as governor was his effort to pass legislation authorizing up to $5 billion in tax credits to Amazon, should it choose to move its second headquarters to the state. There’s a perverse symmetry to Christie’s actions, considering that one of his very first measures when he commenced his governorship was rejecting a desperately needed commuter rail tunnel that, in his view, threatened cost overruns in the range of $2-5 billion, something deemed “unacceptable” by the former governor. 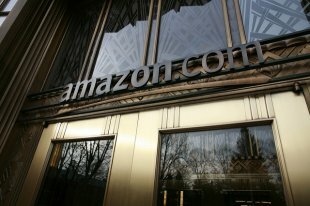 Ironically, Amazon listed viable public transport as a key criterion for its proposed second headquarters; one wonders whether its management team has kept abreast of the litany of commuting challenges that have arisen as a result of the rising shortfalls in funding infrastructure upgrades for the NY/NJ public transport system. In reality, the main effect of these economic development incentives is to create a zero-sum game. They pit communities against one another as they pony up the subsidies, while correspondingly starving the regions of needed funds for essential public services. Bloomberg reported last October that emergency responders visit the Amazon warehouse in Licking County, Ohio, at least once a day to attend to an injured worker. Local residents have to fund those forays because Amazon pays no property tax in Licking County under its subsidy deal, forcing voters to offset this subsidy by approving a $6.5 million property tax levylast November to keep the fire department operational. If Taylor’s “Scientific Management” was Amazon’s progenitor, it is one built on a lie. Taylor typically would spend a few days watching people work, his stopwatch and slide rule in hand. Afterwards, he would issue a report telling the laborers how to do their work faster, and then submit a huge bill to the company for his services. But as a recent book by former management consultant Matthew Stewart illustrated (The Management Myth: Why the Experts Keep Getting It Wrong), Taylor fudged his data and inflated his record of success. The resultant exploitation of the increasingly stressed employees had an unpleasant byproduct for most of the employers who paid for Taylor’s bogus services: it engendered profound mistrust between management and employees, as well as catalyzing a movement toward increased unionization. Luckily for Amazon (not its workers), there has been no increased evidence of unionization at many of its plants in the U.S. or U.K., and hence, no independent employee voice to contest management’s demands for increased output unmatched by increases in real wages. This occurs against a backdrop whereby each region is more than happy to filch jobs from another with the promise of yet more new tax breaks. 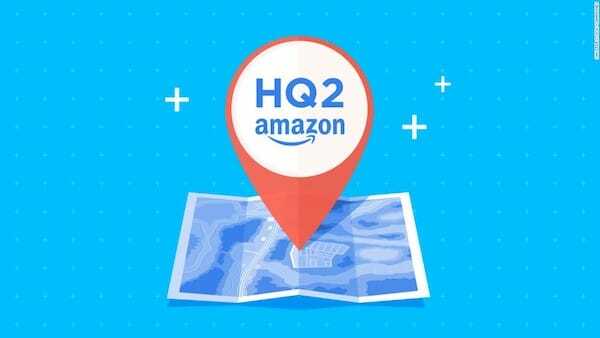 The paper also revealed that ambulances were stationed on hot days at the Amazon center to take employees suffering from heat stroke to the hospital. “I work four nights a week in an Amazon warehouse near my home in Southend-on-Sea. It’s quite a cold place to work and, apart from two half-hour meal breaks, I’m on my feet for 10 and a half hours. I scan the items the trucks bring in from distributors and place them into the right cart for the robots to take to the correct place in the warehouse. “I have to put away each item in 15 seconds or less, and get through 250 in an hour, or I’ll be given a warning by a manager. Stepping away from my station to, say, get a drink of water can have a big impact on my performance. Silicon Valley enthusiasts have long argued that IT liberates the workforce, helping to bring self-managed work teams and decentralized decision making. But the Amazon workplace experience suggests that the very opposite has happened. And the harsh and often unstable work regime of re-engineering also undermines the security of employees and weakens their bargaining power in the workplace. All of which should encourage governments to consider what kind of a “gift” they are getting from Amazon’s proposed new investment. John Atkinson Hobson was an English economist whose work spanned the latter half of the 19th century through to 1940. Noting today’s parallels with that period, the labor economist Bill Mitchell recently remarked that Hobson provided some excellent insights into how rising income inequality, mass unemployment and increased poverty could destabilize the economic system through its impacts on lowered consumer expenditure. Hobson challenged the prevailing ideology of the day, which considered wage suppression to be good for business and society. In the 1920s and ’30s, John Maynard Keynes expressed much the same view, noting that cutting wages may well reduce unit costs (if you make the generous assumption that the impact on morale doesn’t undermine productivity growth), but if done on a national scale it also undermines growth by impairing an important source of demand. Growth can be sustained for a time via elaborate financial engineering and private debt accumulation, although the fallout from 2008 should remind us that this is a profoundly misguided model even as many of today’s governments continue to embrace it. Ideally, real wages should grow in proportion to labor productivity for spending levels to be maintained without undue reliance on credit and savings drawdowns. The subsistence wage model practiced by Amazon is ultimately self-sabotaging. Longer term, if the output of each worker (what economists call “labor productivity”) is rising so strongly but the ability to purchase (the real wage) is lagging badly behind, how does economic growth sustain itself? And what benefits accrue to governments? They offer subsidies, miss out on tax revenue, starve their citizens of vital social services, and fatten the profits of these modern-day robber barons, who treat their workers like serfs as they drive out existing local businesses. The “benefits that Amazon offers, then, are as illusory as the Greeks’ Trojan horse. The 20 remaining cities might do well to look this Amazon gift horse in the mouth.